Not getting enough sleep because of those irritating bedbugs? To treat bedbugs is not easy. For years, pest exterminators have found it a rather difficult job. bedbugs are aggressive pests. They use products that claim to prevent or completely eradicate all the bedbugs from your home. But clearly, there’s more to solving the bedbugs problem than that. Trust Chambers Pest Control for that kind of informed Perth pest control services. Let’s face it, the creepy little blood suckers known as bedbugs are not something that anyone wants having around. No one can make them disappear magically. 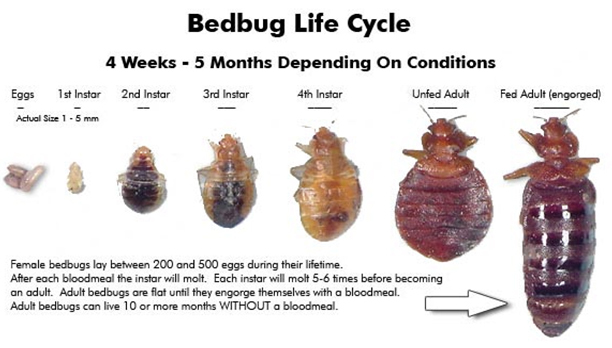 Bedbugs feed on blood exclusively and they love human blood, carbon dioxide in the air, and body heat. Their preferred parts of the human body are shoulders and arms. Even if you clean your entire home thoroughly everyday, bedbugs will appear because dirtiness, clutter and similar things that people associate with pest problems do not affect them. However, clutter provides them with more places to hide. And no. They don’t care about temperature either. If you think you will get rid of bedbugs by lowering your indoor temperature or increasing it, you are wrong. They can withstand a wide range of temperature such as from 0 degrees to 113 degrees F.
When our Perth pest control team goes to your home to remove bedbugs, we target their hiding spots first, which are along the seams of mattresses, wall cracks and many other inconspicuous places. You can rest assured that bedbugs won’t transmit any disease or health disorder, because they don’t. Make no mistake. Bedbugs are good at hiding. And they are good at hitchhiking. They feed on your blood for about 10 minutes and then go. Why would you give your precious blood to a parasite like that? Say no to bedbugs. Call in our qualified, certified and experienced Perth pest control team. Previous PostAre Black Ants Bothering You? Well, Here Some Organic Ant Pest Control Perth TechniquesNext PostWhat Exactly Do Inspectors Look For On A Termite Inspection In Perth?